Whether your hair is smoothed out with a blow dryer, air dried, or you are refreshing your second day curls beach waves are a quick and excellent way to enhance your look for the day! To start off, I prep my hair with a heat protectant. MY personal favorite is Bumble and Bumble Does It All. I just give my hair an all over spray with it. Next, I section my hair into two sections, and clip the top half out of the way. I always start with the front section of my hair. I like to refer to these as the signature pieces. Always remember to curl away from your face because you never want to close your face off. Curling away from your face allows your cheekbones and eyes to be exposed and creates a beautiful finish for your hair. I take 1 ½ “ sections while switching the direction of my curl as I rotate through my head. When I am done with my first section I unclip my top sections and work through that using the same instructions as given previously. After I am finished curling my hair I allow my curls to cool so they form into the shape I would like to see them in. I then spray some sort of texture spray to give them hold. My personal favorite is MARE by Reverie. 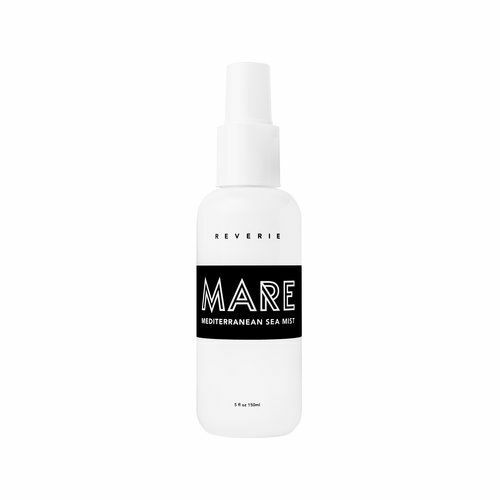 MARE is a mediterranean sea salt mist that gives your hair a soft but piecey appearance which is great for the beachy waves! To complete this look I used a 1” curling iron. I have found that this size of barrel is the best to create the perfect beach wave look. My favorite hot tool brands are GHD, Babyliss, and Hot Tools. I am one of the Educators of the Betty Bootcamp classes that we host in the salon! I am teaching our beachwave course, I would love to see you all at my upcoming classes. You can register here.